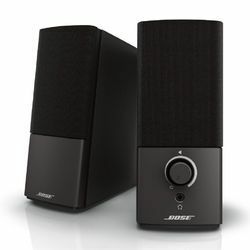 The bose speaker are armed with cutting edge sound technology that product high quality sound. 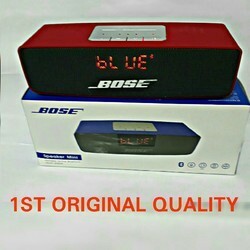 Being the well-distinguished companies in the market, we are into offering Bose Home Theater Speaker. Best in class speakers with excellent sound whether it is Home theatre, Outdoor or Party music. The SoundLink Mini speaker II is small and light enough to tuck into your bag. It weighs in at just 0.67 kg. Its low profile lets you place it almost anywhere and provides a low center of gravity that makes it nearly impossible to tip over. Full-range environmental loudspeaker designed to blend with landscaping for in-ground or above-ground applications, such as shopping malls, outdoor restaurants, resorts and theme parks. Features 360° horizontal coverage and frequency range down to 60 Hz.